We simply want to wish Caster Semenya all the very best as she starts her 2016 Olympic journey later today. We wanted to do that in the same way that we draw attention to other stories and issues, by posting articles on our social media channels. The problem is that we’ve been hard pushed to find a really positive article to share, with most media commentators warning of the controversy of what’s to come. When so much is being written about the integrity of women’s sport and Caster Semenya’s inclusion being a threat to that, we must remind ourselves Caster Semenya is a human being. In an era of scandal and shame amidst state sponsored doping, let us remind ourselves that Caster Semenya has not been implicated in this – in fact the only drugs she has taken have been mandated by the IAAF to suppress her natural athleticism. 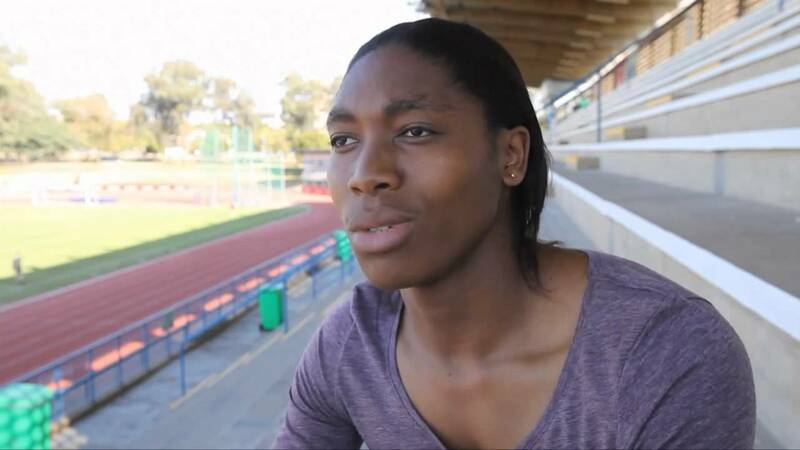 In an interview with the BBC back in 2015, Semenya says “I am natural. I am just being Caster. I don’t want to be someone I don’t want to be. I don’t want to be someone people want me to be”. Denise Lewis focuses on humanity in an article for The Telegraph yesterday, rightly pointing to the impact that the scrutiny and media melee has…but also goes on to say that she too would think it unfair if she had to compete against her. The Irish Times say ‘If any athlete, through no fault of their own, has an unfair advantage over other athletes then it’s not a fair race, and Semenya is about to prove that beyond any doubt’. Does this mean that anyone who ever competed against Frankie Dettori or Magic Johnson were in an unfair competition? Last year, the Indian sprinter Dutee Chand who had been excluded from competing at Glasgow 2014, successfully challenged the IAAF at the Court of Arbitration for Sport, winning the right to run without being mandated to take hormone altering drugs. The IAAF have until 2017 to prove that runners like Chand and Semenya have an unfair advantage. This decision has left both, and others, free to compete at this year’s Olympics without having to alter their testosterone levels. Semenya is the widely acknowledged red hot favourite to win. If this happens, are we likely to see the same ‘Golden Girl’ or ‘Rio Glory’ headlines enjoyed by so many others? And of course if the proverbial does hit the you-know-what later, also bear in mind that we haven’t had the same debate in relation to Dutee Chand these Olympics. Why? Because she finished 50th in her competition and clearly doesn’t pose the same risk to integrity despite such a well-chronicled unfair advantage over the rest of the field. For a quick overview on this situation, you can read Tom Fordyce’s article on the BBC website For a much more in depth look at the story and the issues behind it, check out this interview with Joanna Harper on The Science of Sport website from earlier this year. Written on 17th August 2016.